Join scores of HBS alumni who are making an impact here and now participating in consulting projects, brainstorming sessions and nonprofit boards. For 30 years, HBS Community Partners has mobilized more than 800 Bay Area alumni to help over 300 nonprofit organizations – from the Exploratorium, to #YesWeCode, to the San Francisco Mayor’s Office of Civic Innovation. By volunteering for pro bono consulting engagements and brainstorming sessions, you can help make a positive impact in our community, as well as meet other alumni who want to make a difference. Join the movement. 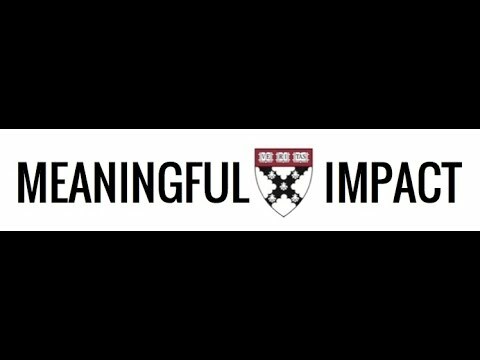 Harvard Business School Community Partners inspires and empowers HBS alumni to make a positive social impact in their community. 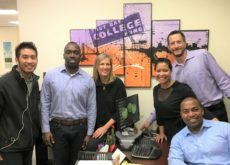 We do this by offering alumni opportunities to leverage their skills and experience to help nonprofit organizations succeed. 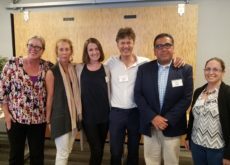 We aspire that all HBS alumni will find ways to contribute their expertise to Bay Area nonprofits to strengthen our community. 3 – 6 HBS alumni volunteers team up to tackle a significant strategic issue for a nonprofit over 3-5 months. 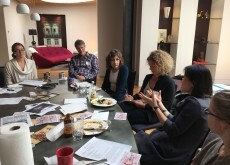 Two-hour sessions with 4 – 8 HBS alumni, focused on solving a tactical challenge from a nonprofit. Like an HBS class! We give full scholarships to Bay Area nonprofit leaders to attend an HBS executive program in Boston. 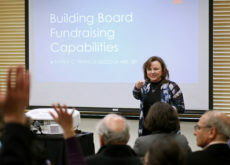 Looking to join a nonprofit board? Or wish to have greater social impact? Attend our events and workshops.